Incase Tracto Duffel collection brings reliable waterproof bags for explorers looking for adventure. It features three types of duffel bags, each different in style and size. So, let’s start. The first one in the collection is the Tracto Split Duffel. Besides it being waterproof, it has a hell of a construction. The base uses 1680D ballistic nylon and there’s the 1000D Tarpaulin outer layer. The same material is used for the inner lining. Probably its main characteristic is the fact you can organize your items in the best possible way. This is achieved with a butterfly opening and zipper mesh curtains. Finally, backpack straps help you carry it and they can be detached in any given moment. These duffel bags are waterproof, durable and will protect your items. Tracto Duffel has the looks of a typical duffel bag. The main compartment can fit a lot of gear and if you find yourself in a situation where that simply isn’t enough, it can be expand an additional 2.25 inches. This one also comes with a special compartment for your 15-inch laptop. 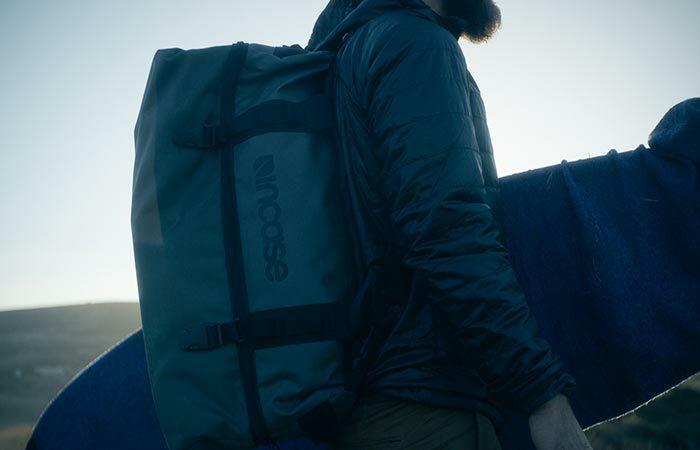 As for carrying it, just like the previous model, it features backpack straps as well as a removable padded shoulder strap. Some models have removable shoulder and backpack straps that will help you carry it. The last bag in the collection is the Tracto Roller Duffel. Just like the name says, it comes with rolling wheels, suitable for check-in luggage. It keeps your items well secured and organized and like all the bags in the collection, it features quick release UTX buckles. Also, all of them are available in three colors- bronze, black, and grey. 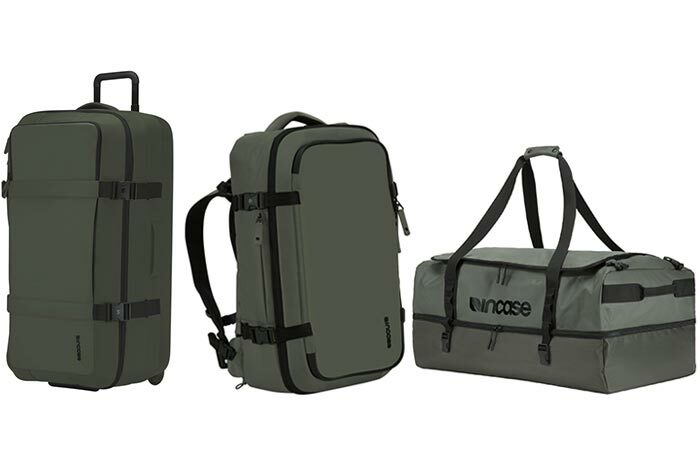 All three have a lot of room inside and are great for organizing different types of gear. 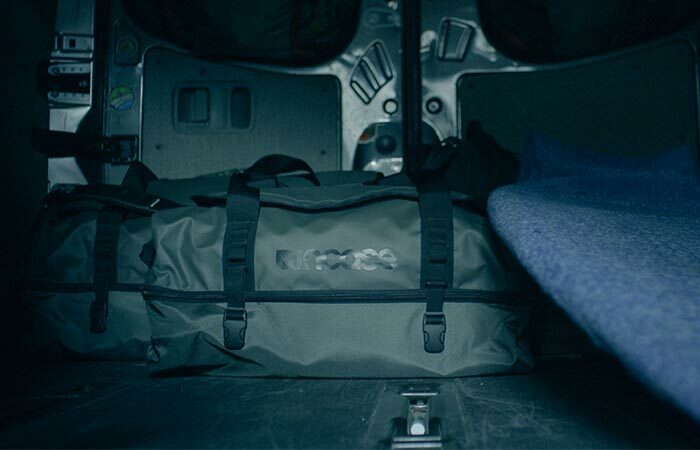 Check out this video and see Incase Tracto duffel bags in action.